This is an opportunity to acquire a handsome pair of signed portraits depicting the wonderfully named Hussey-Hunts! 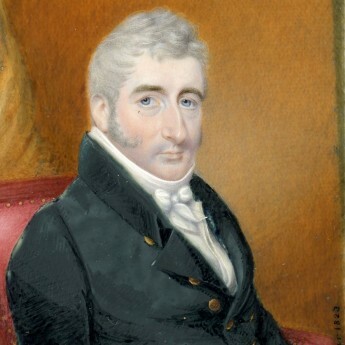 The gentleman is seated on a red leather chair and is wearing a double-breasted coat with brass buttons over a knotted stock. His wife is wearing an eye-catching claret dress trimmed with fine white lace and with pearls edging the sleeves. 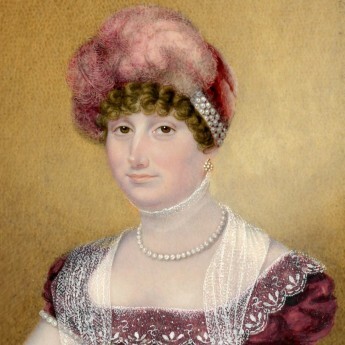 Her brown hair is curled and is topped with a wonderful cap decorated with pearls and pink plumes. 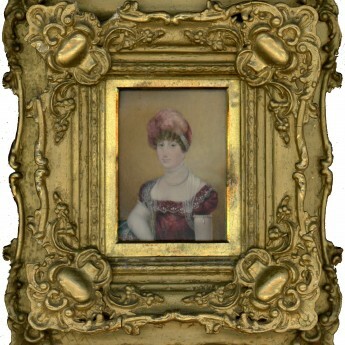 Elizabeth Hussey was born in 1784 to George Hussey and Jane (née Coster) of Compton Pauncefoot. 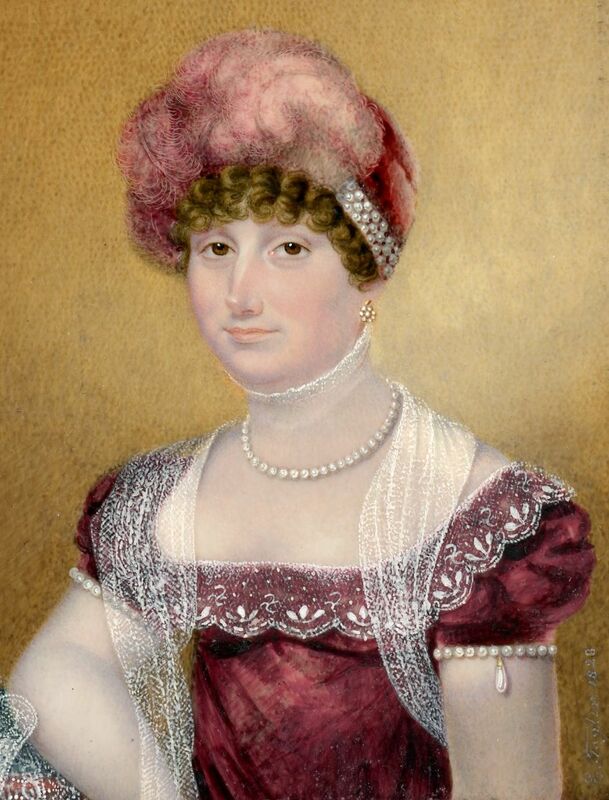 In 1809 she married Lewis Gooden Senior (born in Jamaica in 1786). 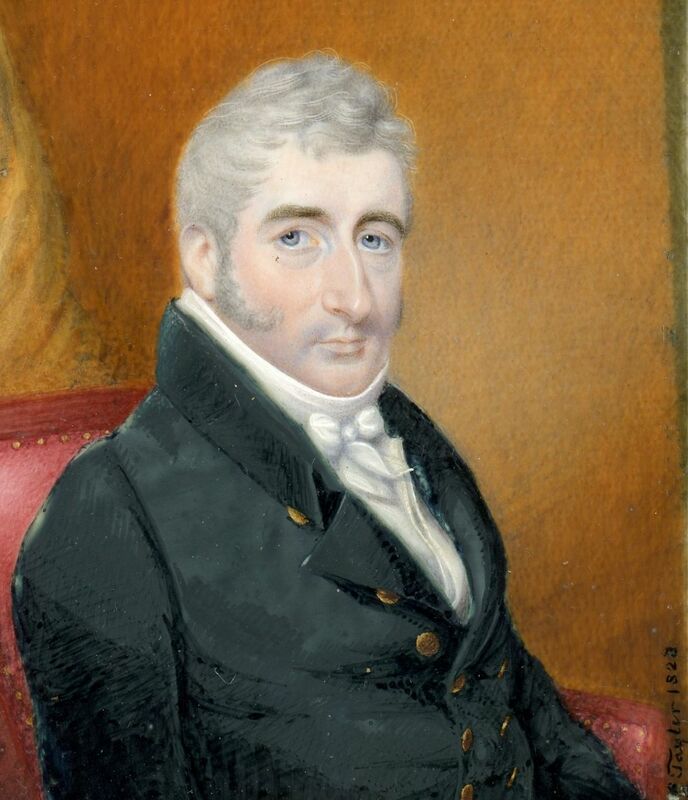 In 1830 she inherited Compton Castle from her cousin whereupon the couple changed their name by Royal Licence to Hussey-Hunt. They had eleven children including a set of twins. 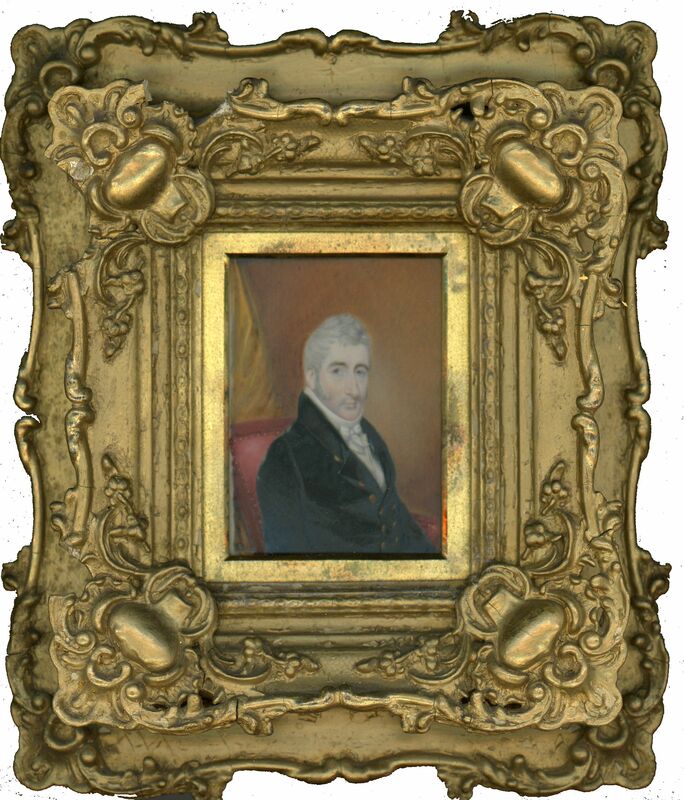 Both portraits are signed C F Tayler and dated 1828. 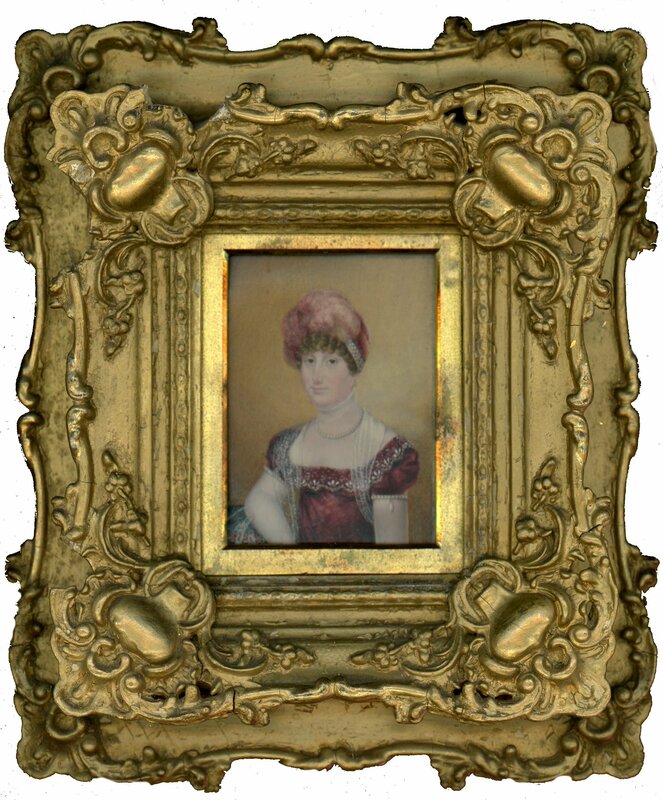 They are housed behind convex glass in matching ornate giltwood frames.